Dava Newman, Apollo Program Professor of Astronautics at the Massachusetts Institute of Technology (MIT) and the first female engineer to serve as NASA Deputy Administrator, will visit Wake Forest University Sept. 24 and 25. An expert on space technology and policy, Newman will present “Exploring Space for Earth: Earth’s Vital Signs Revealed,” at 7 p.m. Sept. 24 in the Byrum Welcome Center. The lecture is free and open to the public. She will highlight recent missions to Pluto and Jupiter, the discovery of thousands of exoplanets and orbital missions to monitor Earth. Her talk offers a view from space of planet Earth’s interconnected systems through supercomputer data visualizations and stories to demonstrate risks, actions and solutions. Newman served as NASA’s second-in-command May 2015 through January 2017. She focused on articulating the human Journey to Mars, highlighting scientific missions, advocating for transformative aeronautics capabilities, developing and implementing a strategic innovation framework, and advocating for diversity and inclusion for NASA and the nation’s STEM initiatives. 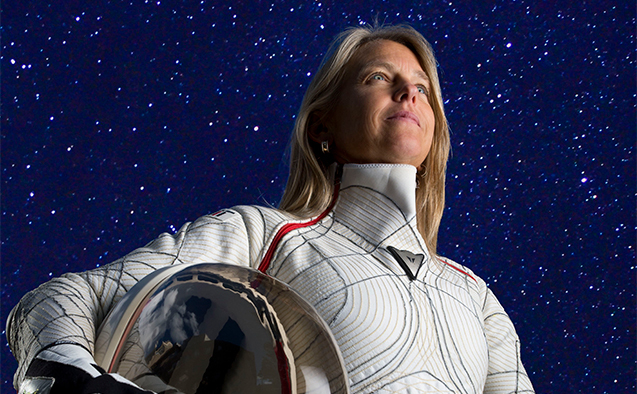 Newman is also known for her work at MIT developing next-generation space suits. Her latest research efforts include advanced space suit design, dynamics and control of astronaut motion, mission analysis and engineering system design. At 4 p.m. Sept. 25, Newman will also present “Human Exploration from Earth to Mars: Becoming Interplanetary” in Olin Physical Laboratory’s George P. Williams Jr. Lecture Hall. Hosted by the physics department, the event is free and open to the public. Newman is a Phi Beta Kappa Visiting Scholar. 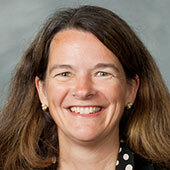 While at Wake Forest, she will visit astronomy, engineering and mathematics classes.